The liner is a protective cover made of a flexible, cushioning material. 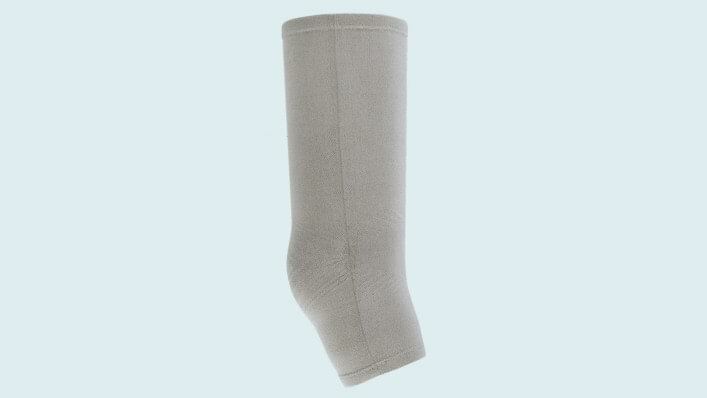 Worn over your residual limb, it reduces movement and chafing between the skin and the socket. Liners are designed with specific characteristics to work with different suspension systems. A Silicone liner provides high stability and good adhesion if your limb has a lot of soft-tissue. It performs best with shuttle-lock suspension. (“Shuttle lock suspension” means there is a pin attached to the end of the liner which inserts into a locking mechanism in the bottom of the socket. The lock connects your socket to your prosthesis.) Soft but resistant to pressure, silicone is durable and easy to clean. 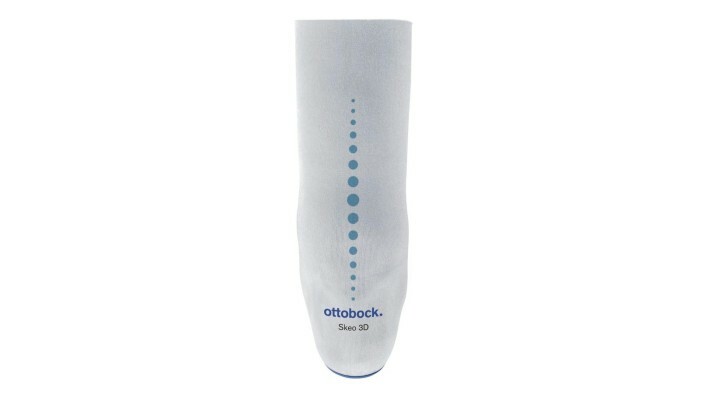 Ottobock recommends silicone liners for individuals with a low to moderate activity level. Polyurethane has a unique ability to flow away from high pressure. That means the pressure in your socket is well distributed. A polyurethane (sometimes abbreviated as PUR) liner offers a precise, intimate and comfortable fit for all types of residual limbs. These “flow characteristics” and damping of pressure on your limb make it a good choice for sensitive, bony or scarred residual limbs. Polyurethane performs best with vacuum suspension or suction suspension. Both require a Total-Surface Weight-Bearing socket (TSWB). Ottobock recommends polyurethane for individuals from low to especially high activity levels. Copolymer is soft, cushiony and highly elastic, offering good protection for low activity for many types of residual limbs. Usually a thermoplastic elastomer, which contains skin-friendly white oil, it is especially good for residual limbs with dry skin. Copolymer performs best with pin or suction suspension. Both require a Total-Surface Weight-Bearing (TSWB) socket. Ottobock recommends copolymer liners for individuals with a low activity level. Liners are available with a few special features. There are antibacterial additives, textile outer layers for easier application, anatomical shaping, non-stick treatments, variable thicknesses to accommodate sensitive skin, pre-flexed knees, as well as tough tear- and puncture-resistant formulas. 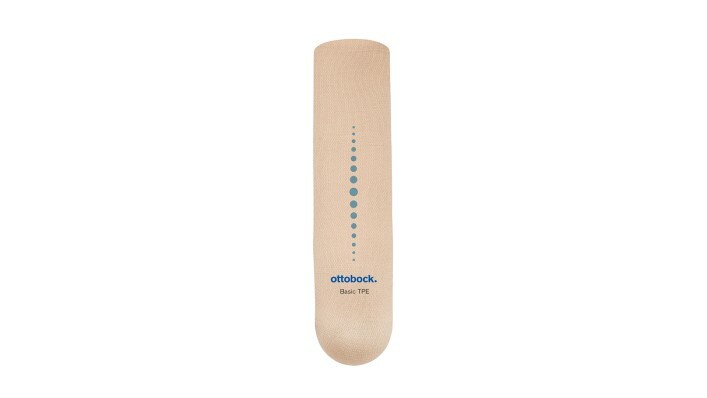 Ottobock also offers custom liners made from polyurethane material if you need a personalized fit to accomodate a unique shape or unusual length or thickness. Sealing sleeves are needed for vacuum and suction suspension. They create a seal around the socket’s top edge. After donning a liner (which acts as a second skin) and a prosthetic sock, you insert your residual limb into the socket. The liner extends beyond the sock, so rolling up the sleeve attached to the outside of the socket creates an airtight seal where the sleeve and liner overlap. The prosthesis stays attached with pump-activated vacuum or valve-assisted suction. Sleeves are made from a variety of elastic materials to maintain a seal. The ideal sleeve offers a good balance of durability and flexibility. A thick sleeve is durable but may tend to bunch up and interfere with the knee’s range of motion. A thin sleeve has plenty of flex but may not last long. Your activity largely determines how long a sleeve will last before it stretches out or develops holes, reducing its ability to maintain suspension. Sleeves often include a protective gaiter to extend longevity and sealing ability. Sleeve features include, a non-stick coating, a textile outer layer for abrasion resistance, and pre-flexed knees for easier bending and wrinkle reduction. The liner, gaiter and sleeve must be carefully rolled on to the residual limb. Pulling will stretch and possibly damage the liner, gaiter or sleeve. To remove any air bubbles trapped in the liner, place your hands on the sides of the liner and lightly slide them from the bottom of the liner to the top a few times. Carefully inspect the liner and sleeve for tears or abrasions that may cause a loss of vacuum. Sleeves and liners should be washed weekly by hand or machine. Dry the liner with a towel, and hang the sleeve to dry. If the inside of the sleeve or liner feels tacky, you can dust it lightly with baby powder. Keep a supply of at least two good sleeves, since sleeves need to be washed and dried weekly and replaced when damaged. Take a look at our Frequently Asked Questions for more information. How do I choose a liner? Selecting a liner depends largely on the physical characteristics of your residual limb (bony, scarred, lots of soft tissue, etc.). Other key factors are your individual activity level, age, health and lifestyle. Liners and sleeves are often the key to walking comfortably and securely, so make sure you and your prosthetist work together to make sure you’ve chosen the liner that fits your needs. Not finding what you are looking for? Please contact us! Copyright by Ottobock © 2017 -- DISCLAIMER: The products shown here may not be licensed in accordance with Canadian Law.